Revive Power Paste is a multi purpose cleaning paste which can be used on most hard surfaces all around the house. 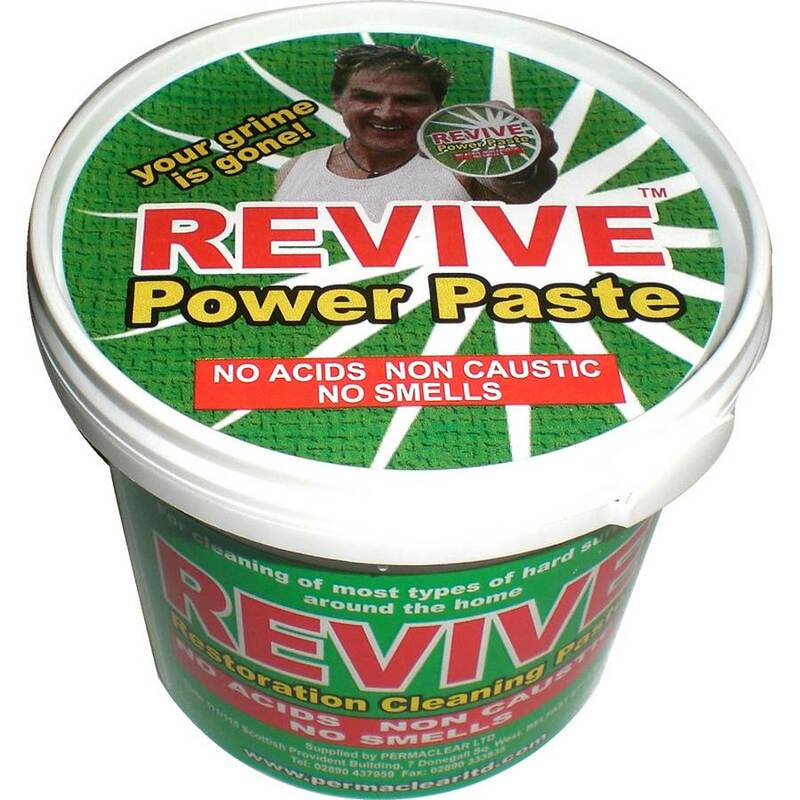 Revive power paste contains no acids, caustics or bleaches and has no nasty fumes or smells. trainers, your hands, and much more. burnt surface we recommend you use a new scouring pad. For all other areas, use with a damp cloth or sponge. Great for removing mould, mildew and lime scale. You will find many uses for revive power paste.